There will be race packs for the first 200 runners with goodys still to be confirmed, so to guarantee yours, enter early! 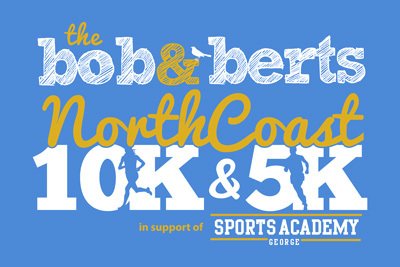 Everyone who registers online for the 10K or 5K will receive a T shirt. 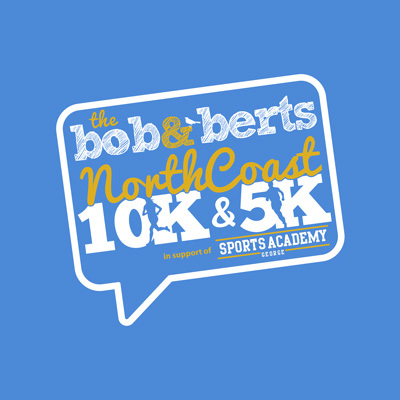 The top 3 male and top 3 females in both the 10K & 5K will recieve cash prizes. Toilets/changing facilities will be available at the Watersports Centre before, during and after then runs. We will also have some refreshments after the runs. As the costs of organising the event have been covered, please know that all money from the entrants fees will go directly to supporting the Sports Academy George school project. Ultimately, your money is giving each young person the opportunity to dream of a future that isn’t defined by the areas they grow up in. On top of this Johnston Campbell have promised to match every entrant fee. So the money going to charity will now be DOUBLED! This event is to raise funds for the work of Sports Academy George in the townships of South Africa. This year they have opened a new school for every young person in their programme. Sports Academy George use sport as a tool to connect and disciple young people, providing them with opportunities for a better future through the coaching, mentorship and career guidance incorporated into our programmes. We want our students to be the best version of themselves and so we strive to develop them spiritually, physically and academically. Bob & Berts was founded in Portstewart in 2013, satisfying the demand for quality coffee and fresh food. Its distinctive style, quality offering and local community focused approach has seen it rapidly expand to 16 coffee shops across Northern Ireland in locations including Coleraine, Belfast, Lisburn, Omagh and Portadown. Johnston Campbell has been advising clients about their financial planning for over 40 years. We are wholly privately owned, and we look after in excess of £400m of assets for our clients. Our relationship with many of our clients goes back to our original formation. We are not affiliated to any one company ensuring you get truly independent advice.